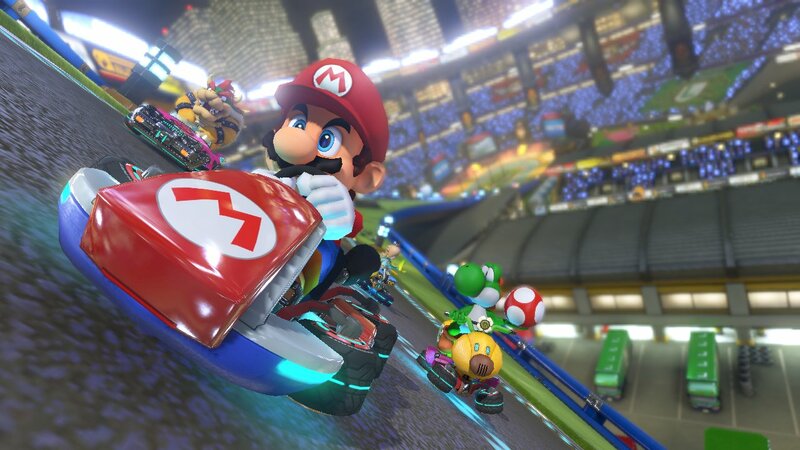 This week, Nintendo rolls out the first of two downloadable content packs for the Wii U’s Mario Kart 8. The release marks the beginning of a new strategy for the Kyoto-based game maker: instead of a steady stream of new releases, Nintendo hopes to keep its struggling Wii U console afloat by building on and expanding existing games. It’s a bold experiment, and one that represents a major shift in Nintendo’s priorities. Just three years ago, president and CEO Satoru Iwata downplayed the importance of add-on content. Even more surprising, however, has been gamers’ reaction to the news. Downloadable content — or “DLC” — usually gets a pretty negative reaction from the gaming community. This time, though? People are thrilled. So, what’s Nintendo doing so right? For one, pricing. For the cost of a matinee movie ticket, Mario Kart’s first DLC pack introduces eight tracks, three racers, and three new karts. This isn’t Oblivion’s horse armor or Far Cry 4’s yak farm. While the new content won’t fundamentally change Mario Kart 8, it’ll add a few hours’ worth of gameplay to an already strong title. All in all, it’s a pretty good value. A bigger issue, however, is trust. Gamers often accuse publishers of cutting content from the main game and selling it later. In most cases, these claims are debatable, but they’re not without precedent. Assassin’s Creed 2, for example, relegated significant chunks of the main plot to DLC. Fans who wanted the “full” story had to pay extra. Publishers have gotten more sensitive about this practice, but it’s still an issue. Despite billing itself as a complete and accurate simulation of WWE’s television product, WWE 2k15 locks popular moves and characters, including the former Divas’ champion Paige, behind a $25 “season pass.” When hackers discovered assets from Destiny’s upcoming DLC packaged with the base game, it fueled perceptions that gamers were being charged for something they already owned. By contrast, Mario Kart 8 ships with a full roster and the 32 tracks traditionally included in new installments. For all intents and purposes, Mario Kart 8 already stands on its own as a complete, traditional Mario Kart experience. 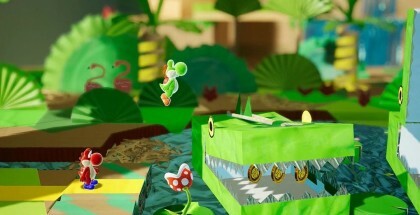 Instead of filling in gaps, the additional content pushes the game in a new, compelling direction by including characters and settings from non-Mario franchises. 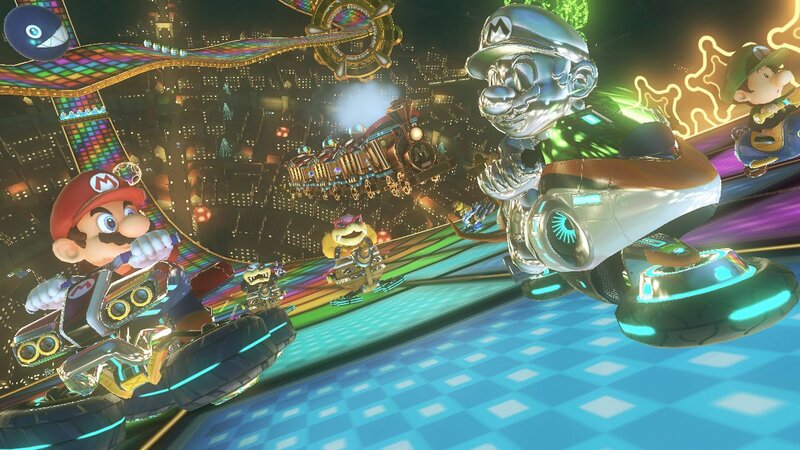 Further, Mario Kart’s DLC packs are entirely optional; they won’t provide players with any kind of competitive advantage, and they’ll only be usable online if everyone in the group owns them. Ironically, Nintendo’s reluctance to engage with DLC is probably what earned them this trust in the first place. Not only were the company’s first pieces of downloadable content (mostly special-edition Pokémon) totally free, but many were only available for a limited period of time. Nintendo’s shown no indication of ever offering these items again, even though many gamers would be willing to pay for them. Instead of squeezing consumers for extra cash, the company’s leaving money on the table. It’s a history that sends gamers a clear message: Nintendo’s on your side. As a result, the Mario Kart DLC simply isn’t subject being greeted with the skepticism that mars similar efforts. If Nintendo really is banking on add-on content to keep the Wii U relevant, that trust is something they’ll need to maintain. Thankfully for them, they’re off to a pretty good start. Is Strife Really the Next-Gen MOBA We’ve Been Waiting For?